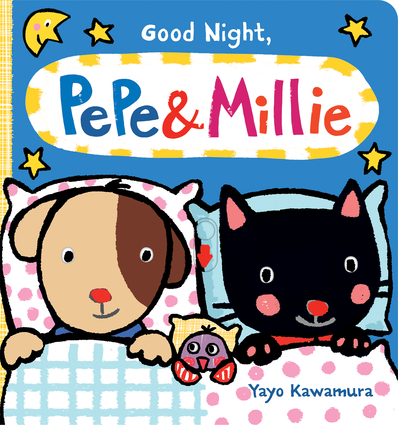 It's bedtime for Pepe and Millie! They put away their toys, brush their teeth, and change into pajamas. With fun sliders and lift-the-flaps, toddlers will love to help Pepe and Millie get ready for bed. Yayo Kawamura grew up in Tokyo and studied design communications. She is the author of A Day with Pepe & Millie and Play Hide-And-Seek with Pepe & Millie. She currently lives in Germany with her husband and two children.